The new generation Honda Civic already teases its archenemy the Toyota Corolla in March. The only piece of good news for Toyota comes from the Fortuner: the new generation has been an incredible success and pushes the model up to #3 both in March (+278%) and year-to-date (+203%). Honda on the other hand is going from success to success: the City (+5%) benefits from the Vios absence, the all-new BR-V improves further to 1.885 sales (#11) for its 2nd full month in market and should break into the Top 10 next month and the new generation Civic is back with a vengeance, landing directly at #14 with 1.547 sales, just below the Corolla whereas the Civic nameplate ranked #25 over the FY2015 (Corolla at #11). The MG GS has landed in Thailand. Meanwhile a couple of other Japanese carmakers are having the time of their life: Mitsubishi is up is 54% on the back of stunning Pajero Sport sales (#6 and 2.938 in March, up 386%) and Mazda is up 50% thanks to the 2 doubling its sales year-on-year (+99%) with the arrival of the new gen sedan and the CX-3 at #22 year-to-date. 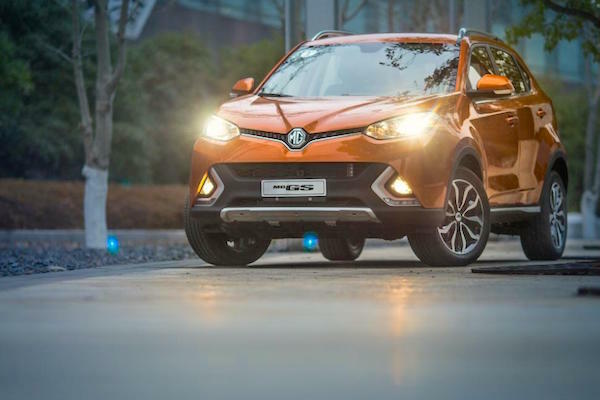 Other great performers include Ford (+32%), Mercedes (+48%), Lexus (+105%) and Kia (+36%) while now-Chinese manufacturer MG has sold over 1.600 units in three months in Thailand, simply its best performance outside China (it sold 992 in the UK during the same period). The MG 3 is within the 2016 Top 30 (#29), the MG 5 within the Top 40 (#39) and the MG 6 is #56 while the MG GS SUV has just arrived at #54 with 38 units sold for now. Full March 2016 Top 32 All-brands and Top 70 models below. 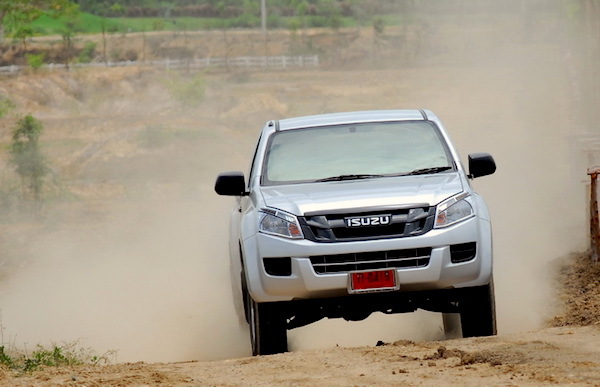 previous post: Thailand February 2016: Isuzu D-Max #1 for third consecutive month – on way to outsell the Hilux annually for first time since 2007?